This particular design is Kirby, though I decided to let the player nickname the boys themselves, so it's a bit arbitrary now. 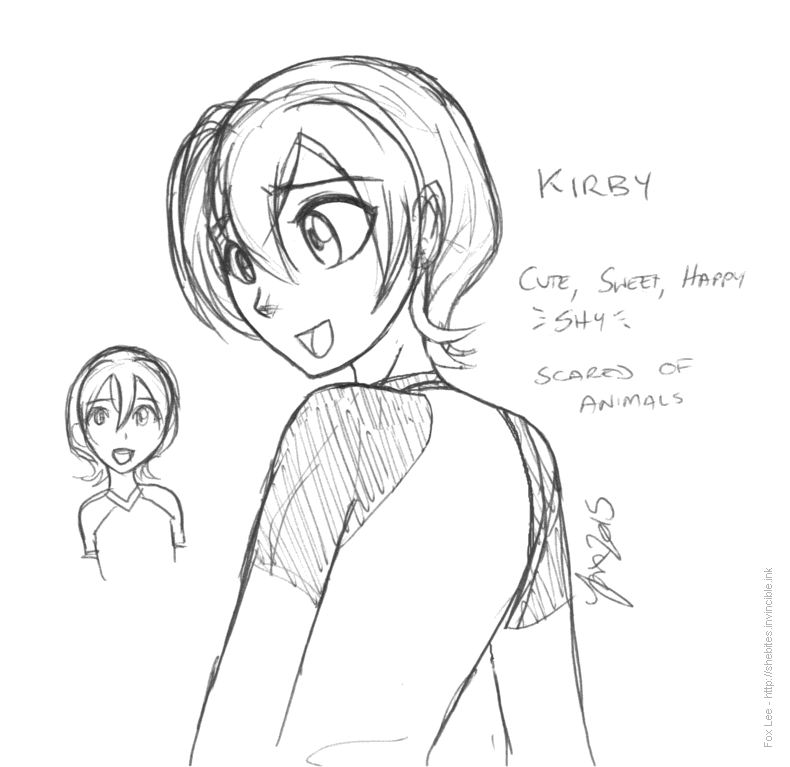 The cute baby-face of the game, Kirby is an upbeat but shy boy in his last year of high school. He writes digital music he shares online, and would like composing and/or producing music to be his career. Though friendly, he has a lot of fears, and struggles hard with social anxiety. A chronically white kid.